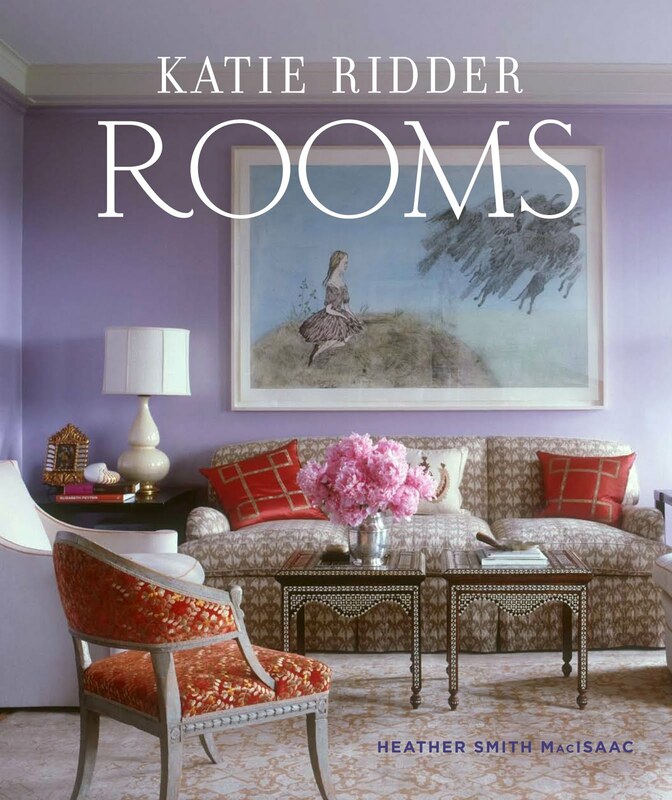 BOOK FIRST LOOK – DESIGNER KATIE RIDDER’S COLORFUL ROOMS! It seems to be interior designer Katie Ridder’s week here on COCOCOZY. I started the week with a Katie Ridder home and now I’m ending the week with images from a new book due out November 1st all about Katie’s work. After I posted on Monday about an interesting home from Katie’s online portfolio, I got an email about the book. It is being published by Vendome Press and is called Katie Ridder Rooms written by Heather Smith McIsaac and photographs by Eric Piasecki. I have not received my advance copy yet (it is in the mail according to nice Meghan over at Vendome…wooohooo) but I have been given an exclusive first look at what is inside. Can I say awesome? Katie is known for using texture, color and non-traditional “curious” combinations to create stunning memorable spaces. Lot’s of interesting details in a Katie Ridder designed room. Here’s just a little sneak peek…loads of inspiration….can’t wait to have this for my coffee table! I like these rooms. My favorite in this batch is the home office with the green trimmed windows! Do you like any of these rooms? Which space might work in your home? Thank you Meghan over at Vendome for giving me a first look at some of the images from the book just for COCOCOZY. Readers, I have a few more of these rooms that have been shared just with me…and I’ll bring those to you too very soon! LOVE that bathroom, great share! me too! LOVE the living room! and the peacock tile, fabulous! Oh, I love the bathroom AND kitchen. Lovely!! 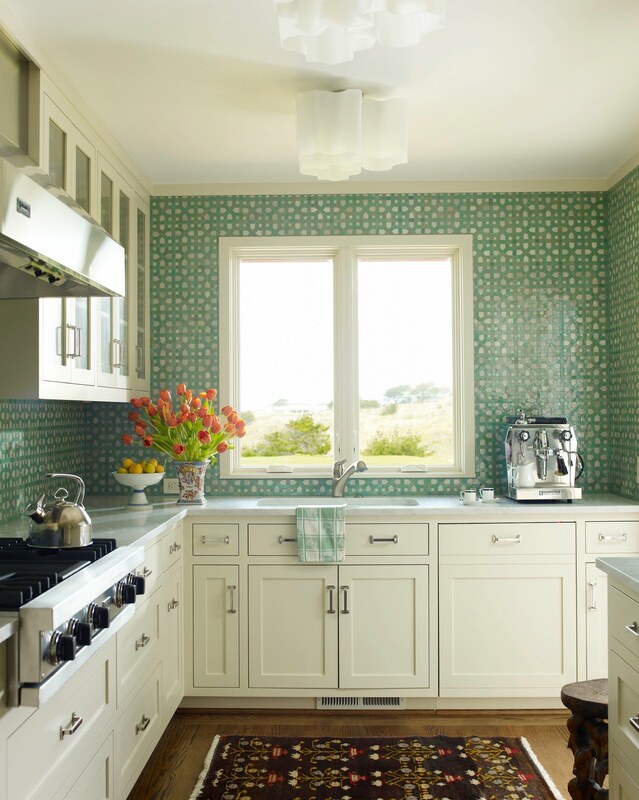 I love the office with the green trimmed window, and the tiles in that kitchen is just fabulous. I love the tile in the bathroom. It just pops right out and grabs your attention, but because of the windows it’s not too much! I love Katie’s work too. Her wallpaper (crabs) at the 2011 Hamptons Designer Showhouse was absolutely charming. Lucky you to get a sneak peek and advance copy. I hope to get to a book signing! That bathroom is amazing! The tile colour is fabulous! Great post as usual, but where are all the ps’s?!? I was wondering if I could use the bathroom photo on my bathroom blog? Pretty please. The tiles are very pretty, I also love the green trim of the office windows and the cover is fantastic. Btw, did you get your dress repaired? Ok hope you have a great weekend. Please email me at [email protected] re the photo when you have a chance. Thanks! Ps. Congrats on all the success with your products, the posts you do about it are very interesting. I am dying over that bathroom. LOVE the blue tiles with the green. I could definitely live with that! 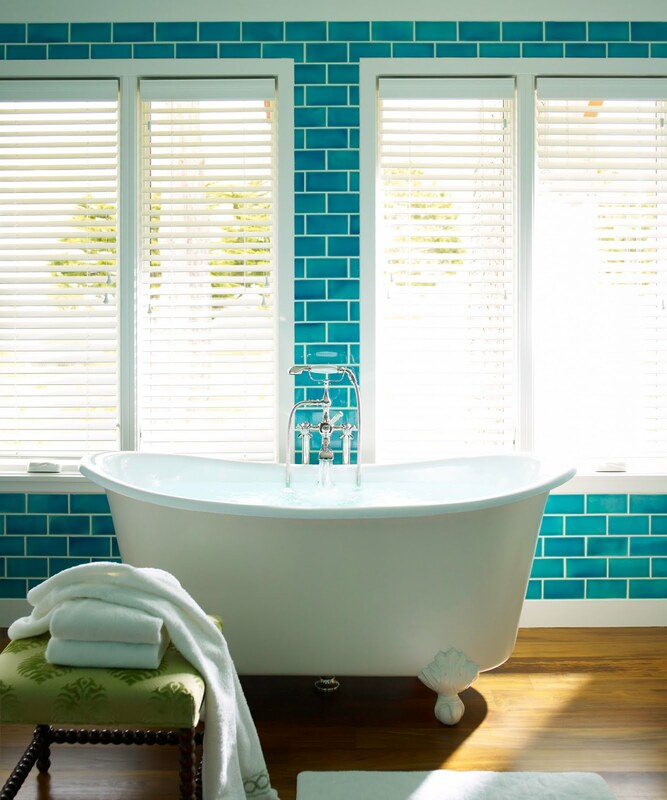 I agree with everyone on the bathroom, it looks so fresh and invigorating and would certainly wake me up in the mornings! Thank you for sharing. I can’t wait to see the rest of the rooms! I’ve just ordered my copy!!! I love them all…the colors are just gorgeous!! Love the citrine trimmed windows! I am just loving the wonderful use of colour!! Fantastic! Lovely tones and elegant designs. Kinda late to the party, but who manufactures that peacock blue subway tile in the bathroom? Thanks!